Trey Ratcliff has developed his own unique style of teaching. It’s based on an artist’s natural instincts of curiosity and discovery which quickly produces amazing results. You’ll learn about photography in a whole new way. Trey will help you take your first few steps on the path to creating your own kind of art. We begin by throwing away the camera manual and then I’ll gently guide you in the ways of photography. These lessons are aimed at beginners, and are perfect for all ages and all camera types from big DSLRs to mirrorless to mobile phones. I’ll show you how not to be afraid of your camera and how to use it to do your own creative bidding in areas from landscape photography to astrophotography via the likes of portrait photography, an introduction to HDR and much more. I love my drone! I just finished this new tutorial to help you be as creative and productive as possible with your flying camera. I will show you how to make the most of the aerial photos and videos you capture. I begin by talking about different types of drones / quadcopters and which one is right for you. After that we take our first flight together and you’ll see how fun and easy it is. Then we get into intermediate tips and tricks, including how not to get arrested like I did in China! Marketing experts say that you, the YouTube generation, only like quick 2-3 minute tip videos. 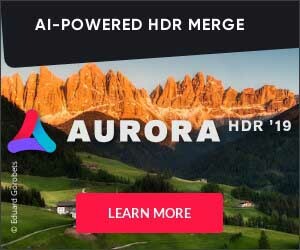 Trey has created a few of those for Aurora HDR 2018 but he also likes longer, more thoughtful tutorials. In this 2 hour tutorial he starts out very slowly, at beginner level. Then, if you’ve used Aurora in the past or are ready to go advanced, he gets into the new controls and some of his latest post-processing techniques. A new series on art, photography and life. This is unlike anything Trey has done before. Trey begins each episode with a personal story and then dives deep into post-processing back in his studio. He covers composition, color, light, and inspiration. He’ll show you tips & tricks for Adobe Lightroom and Photoshop. We’ve also included a free trial and tutorial for his new favorite tool, Aurora HDR for Mac (Windows trial version is coming soon). Looking to organize your photos? Then this video and eBook will help you get your digital life organized! This is a problem for me too. I have tens of thousands of photos. Some are personal, but most are landscape photos. Some photos are less than average. Some have potential. Since digital photos are a major issue, I’ve worked hard to come up with a system that works for me. I’m happy to share this system with you. Are you interested in learning the latest techniques in making your photos look beautiful? Then I think you’ll really enjoy this tutorial! Join me as I travel around the New Zealand’s beautiful South Island. You will see how I set up my camera to take photos, how I compose the shot, and how I perform HDR processing and hundreds of other little tricks to make your photos look prettier. Miss Aniela and Trey Ratcliff thought it would be exciting to combine her dramatic fine art photography with his epic landscapes into an intense hands-on photoshoot experience and workshop. Join along as they explore the majestic Château de Champlâtreux in the French countryside. You will learn the secrets of how they envision, prepare, shoot, and process their photos in this excellent new Fine Art Photography tutorial. Learn trey’s tricks to using textures to give your photos a unique look. The textures will help you do amazing things with your photos. It has taken a small eternity to collect these exotic and unique textures from all over the world. The Ultimate Package includes: 2 Bonus Videos with extra tricks, 50 bonus textures from secret locations, 100 exotic & unique textures, 90 minute instructional video full of tips. 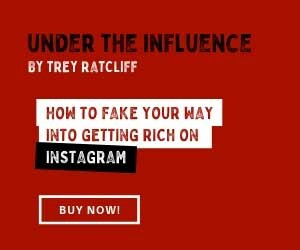 Our store has a wide collection of eBooks by Trey Ratcliff at great prices. The eBooks are available in PDF format which can be viewed on your computer, iPad, Kindle or other eBook device. Topics include photography techniques, photo composition, photo editing, HDR photography, and more.